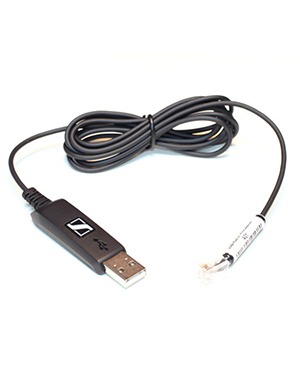 Sennheiser USB-RJ9 01 Headset Connection Cable is an accessory that is used to connect the headset directly to the USB port of one’s computer. 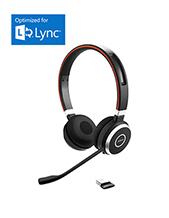 This is a device that can be helpful for users with specific headsets that are not compatible with their PCs. Purchase this accessory right now by calling our company hotline: Australia wide 1300 131 133! Sennheiser provides the global market with high quality headphones and microphones, along with top-notch all-round audio solutions and services. These offers have become instrumental in making it possible to cater to different types of customers in the market, from artists to pilots and sound technicians. 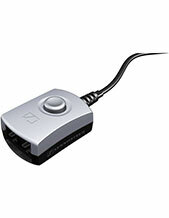 Sennheiser is presently headquartered in several regions all over Germany. It has headquarters in Wedemark, Hanover, and Lower Saxony. It is also operating under the leadership of Daniel Sennheiser with the assistance of around 2,183 employed experts under the company. Sennheiser is an audio electronics enterprise that started out with the development of a voltmeter. The company then expanded to creating microphones, headphones, and audio solutions. The company’s product portfolio expanded towards miniature magnetic headphones, mixers, microphone transformers, noise-compensated microphone, and geophysical equipment. And more than just its product portfolio, the company also has expanded its operations to having over 2,000 employed experts under the management compared to its 250 employees in the year 1955. 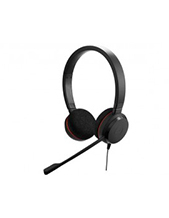 Headsetsonline Pty Ltd is an Australia-owned and –operated enterprise that sprung as a new division under a popular and reliable headsets and headphones supplier in the market. It also offers an extensive product portfolio with products covered by warranties accepted in Australia. Supplied by Australian distributors and not grey imports, the company’s products are all certified to pass Australian standards. This is how the company makes sure that all of its offers are of high quality and can provider irreplaceable audio experience. Headsetsonline Pty Ltd is an enterprise that sprung from the creation of a new division under a specific reliable company that is well-known for delivering the audio requirements and needs of corporate sectors and government agencies. Since the year 1998, this company has been responsible for supporting the audio needs of these customers and is currently being continued by Headsetsonline. From then on, it has operates in an uphill scale in the Australian market.